This is correct, but there is more to think of. This post will cover the elements that should be considered when deciding on stopping the support. This means the software instantly become legacy, AND a substantial risk. The Oracle software will not be upgraded or patched, the environment (O.S., client software, middleware, other connected software) does. With the possible effect the application might not work in the future. However Oracle claims that the departments Support, Accountmanagement and LMS acts more or less seperated and will not share this kind of information, it is naive to assume that the decision of stopping support of (part of) the Oracle licenses has no consequences regarding the rank of the customer on LMS’s list for submitting an audit. You may desupport a subset of licenses in a license set only if you agree to terminate that subset of licenses. Oracle Database Enterprise Edition with RAC, Diagnostic and Tuning Pack. So stopping support of the options is a ‘Matching Service Level’ – thing, what LMS will translate as incompliancy, and the chance that My Oracle Support is not willing to help when submitting a Service Request. Pricing for support is based upon the level of support and the volume of licenses for which support is ordered. In the event that a subset of licenses on a single order is terminated or if the level of support is reduced, support for the remaining licenses on that license order will be priced at Oracle’s list price for support in effect at the time of termination or reduction minus the applicable standard discount. This is ‘Repricing’, also called ‘Pricing following Reduction ‘. So, the updated support renewal, then, would be recalculated at a less optimal discount. Ending up being no savings – just less product on support for the same costs. This is mostly the case of terminating a license and not for terminating support (however this is a ‘reduced level of support’), but it’s important to know. Terminating a license within a CSI-number – in stead of stopping support – is in some cases by the way not a reason for repricing. E.g. when there has been a reorganisation of contracts in the past. When a customer decides – for what reason – to reinstate the support, there will be a reinstatement-fee. Stopping support of a productline also has a peculiar effect on products, running on engineered systems. The lifecycle managment of engineered systems are maintained by so-called ‘bundle-patches’. These bundle-patches contains patches of storage-firmware, bios-updates, o.s-updates, and .. Oracle software patches. So, when stopping Oracle support you still receive the database and middleware-patches through the bundle-patches, which is not allowed. And however it could be possible to not use these patches, it will break the life cycle managment of the engineered system. I don’t think this is advisable. An overview of all the Oracle contracts at your firm, what seems pretty obvious, but takes quite an effort sometimes. An overview of what licences you are actually using, compared to what you are entitled to. The OPEX (Operational of Operating Expenditures) can be decreased, in some cases substantially, but before jumping into action and conclusions, contact someone who understands the risks, and is able to look further ahead in the future, together with you. Hi, will contact you by mail. Regards, Job. 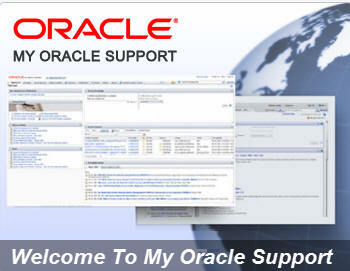 a quick question, after ending support, can I still log on to support.oracle.com and have access to anything that is available prior to termination of support? Good question, but I haven’t experienced it yet. According to the support policy only states ‘you are not entitled to… etc’. When you are in the posession of 1 CSI which is out of support, you will likely receive the message ‘Error: Your access to My Oracle Support is restricted because you currently do not have any active SI in your profile’. So it’s a no unfortunately, but not 100% sure. When in posession of multiple CSI’s and anly one is active, you have access to anything in My Oracle Support. I was still confused by some information. I appreciate if you can help with that. Let’s assume that I have some licenses of type Enterprise Edition with partition, RAC, Diagnostic/tuning pack enable but all of type PERPETUAL (Licenses and options) and I resolve not to pay more for the support and annual update. Can I continue to use licenses without problems because they are “perpetual” type? (Yes, I know I could not open SR, update the products and etc). Let’s say the environment will only be for legacy / historical access. When you decide not to pay support anymore, you are still the owner of the licenses, but you can’t indeed use support, upgrade etc. Just don’t sign any agreement where you waive your license-rights (sometimes Oracle tries to persuade you to do this). En elegant way is to get in contact with the Oracle representative to get this done. Regardz. Laurent, thank you for your comment. I don’t know what link you are referring to, but I think you are right. In any case for the perpetual licenses. Corrected this in the blogpost. In rare cases there could be indeed a license buy without buying support, but then the rest of the blogpost applies :-).